By Lisa Steele on June 20, 2012 Visit Lisa's Website. When we decided to start raising chickens three and a half years ago, I knew that our six tiny chicks would eventually grow out of their brooder box and need a coop. 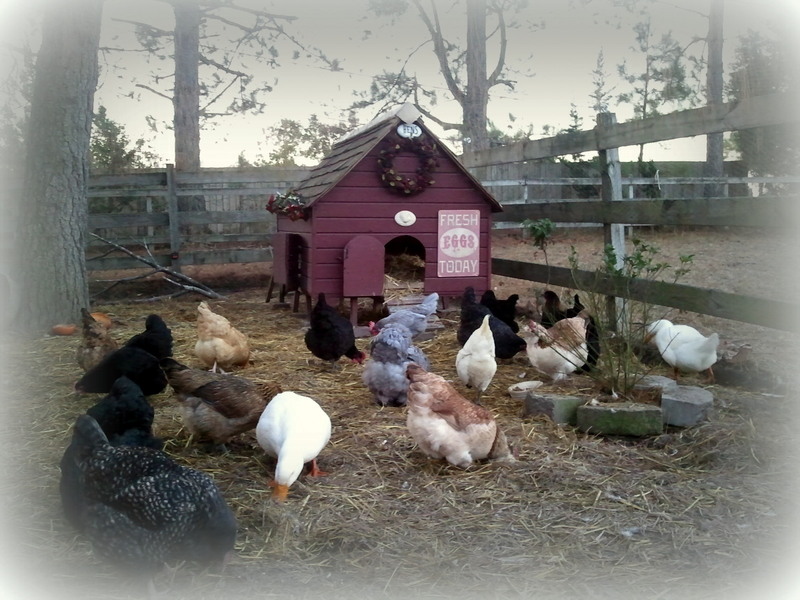 So I starting looking at pre-made coops, coop kits and coop plans, but couldn’t find exactly what I wanted. I also researched the different elements that good coop designs encompass and I decided to design and build my own, using the different aspects from a few different coops. My rule of thumb: Build your coop a lot bigger than you think you will need. You only have three hens now? By this time next year you will have 10 … or 20 … or 45 … and maybe a few ducks. Trust me. So build big. Rule of thumb on roosts is to allow 8 to 10 inches of roosting space per hen. Reality on that is that all your hens will squeeze together at one end of the roost, leaving 90 percent of the available roost space empty. 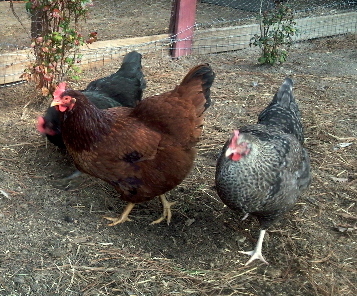 Regardless, plan on enough roost space for the eventual number of hens you plan on raising (see tip No. 1 above). Using two-by-fours with the 4 inch side facing up works well for roosting bars. You can even round the top edges a bit if you want. 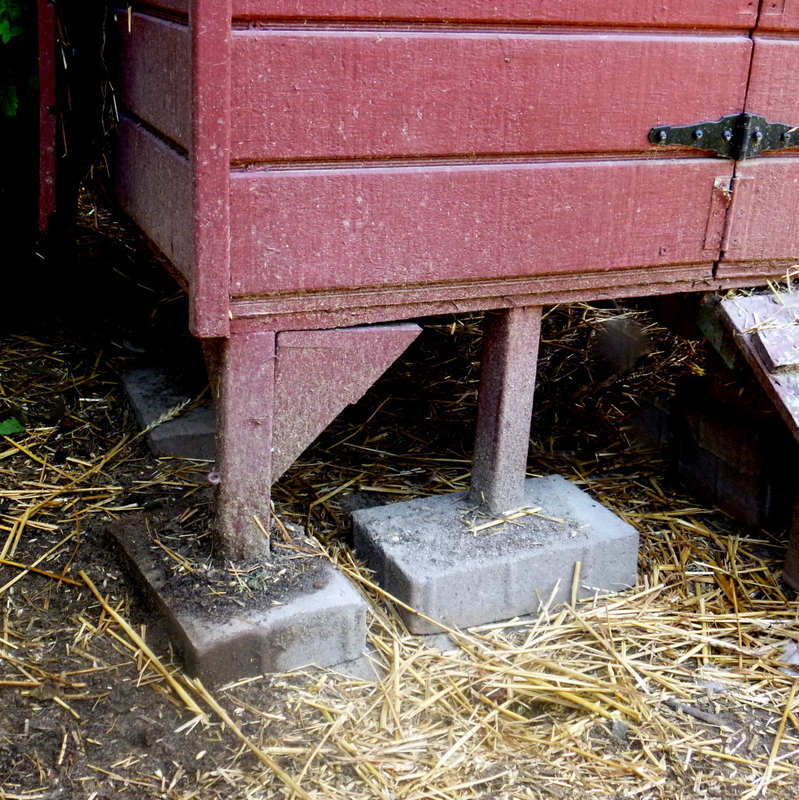 The flat side helps keep the chickens’ feet hidden under their bodies and protected from frostbite in the winter. 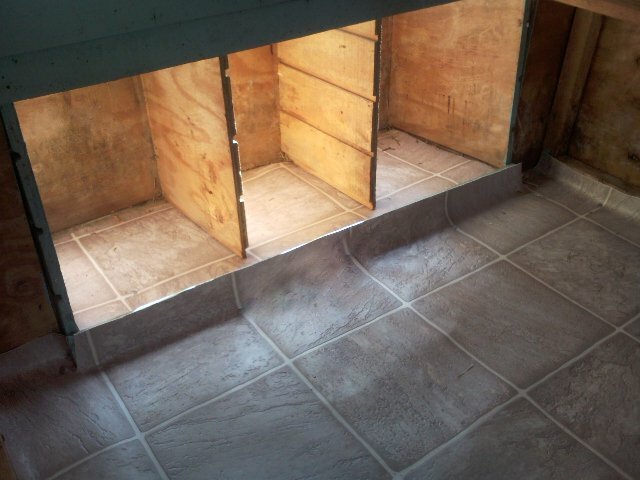 One-fifth of the total wall space of your coop should be vented. Good ventilation and air flow is very important, winter and summer, in a coop. So go ahead and cut some vents in your coop walls. Cover the openings with 1/2″ hardware cloth stapled in place and then secured from the inside by screwing furring strips along the edges. Then by all means, go ahead and cut some more. I hang onto the pieces of wood I cut out and then reattach them with hinges so I can open and close the vents as needed. 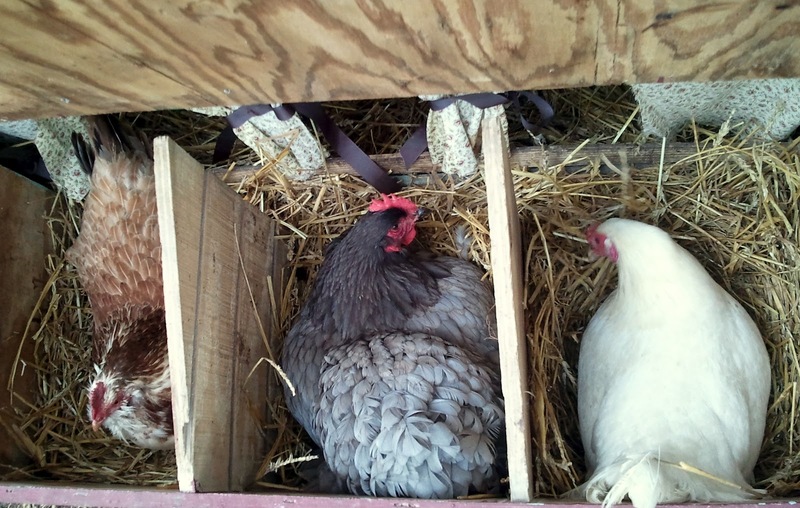 Rule of thumb on nesting boxes is one box for every four to five hens. 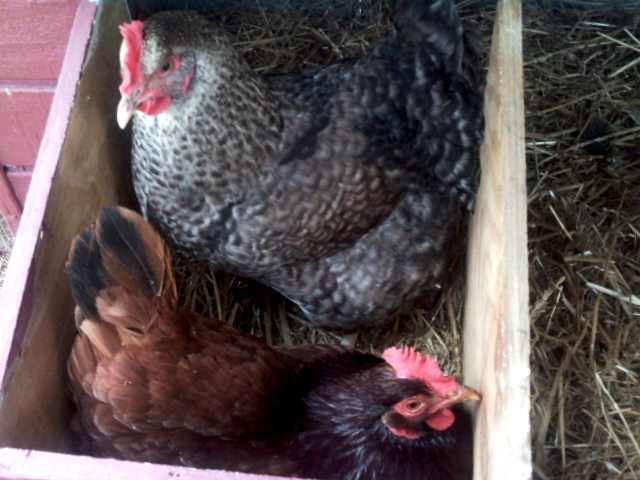 Reality is, no matter how many boxes you have, all your chickens will want to lay in the same box … at the same time. Nesting boxes should be 12 to14 inches square and be positioned lower than your roosts so the chickens won’t perch on them. Coop doors and nesting box covers need to be fitted with secure latches. Raccoons can turn knobs, untie knots, undo bungee cords, lift latches and slide deadbolts. 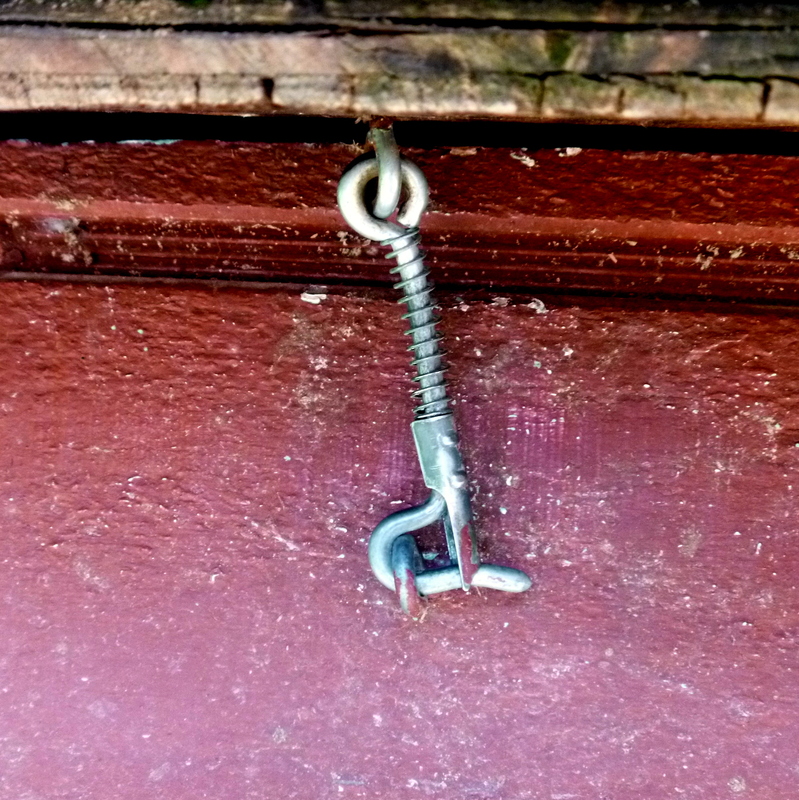 These predator-proof eyehooks work nicely on our nesting box lids and coop doors. They come in various sizes and will keep predators out. We haven’t yet met the raccoon who can figure out how to work these. Raised coops are more secure than coops built on the ground (unless you pour a concrete floor). 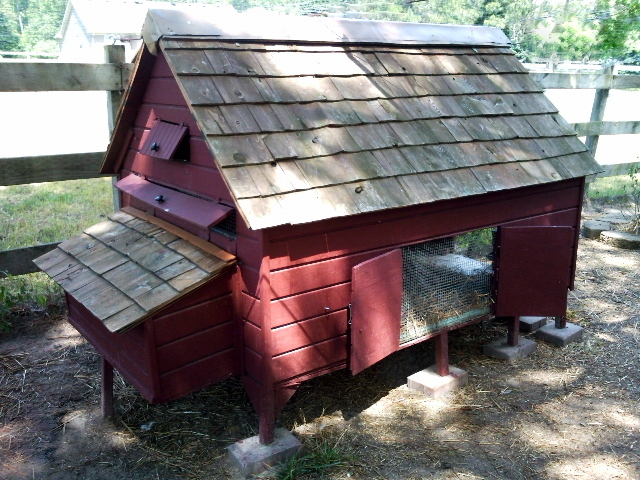 A raised coop will prevent predators from digging and burrowing underneath and keep the coop floor from rotting. Another advantage of a raised coop is that is provides welcome shelter from sun in the summer and sleet and snow in the winter for your chickens. Raising the coop up at least 8 to 12 inches keeps it high enough that the chickens can easily fit underneath while preventing rodents from taking up residence. Coop flooring is another consideration. 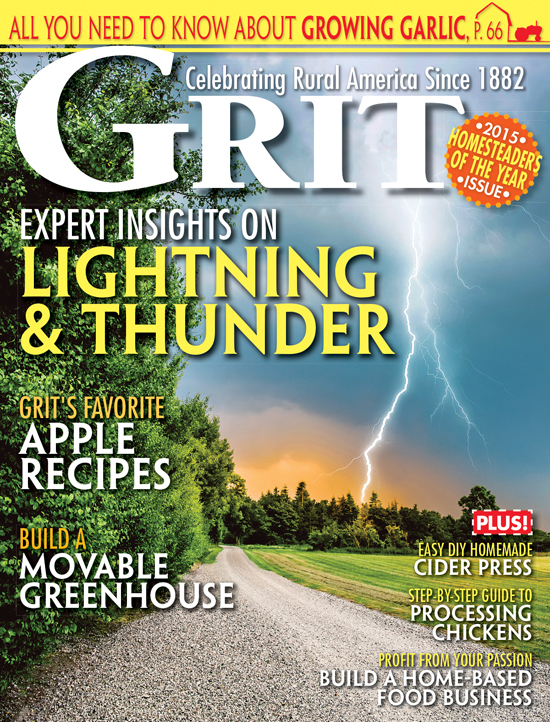 Dirt floors are easily breached by predators, concrete is expensive and often not a DIY option. Wood floors can house mites and other parasites. 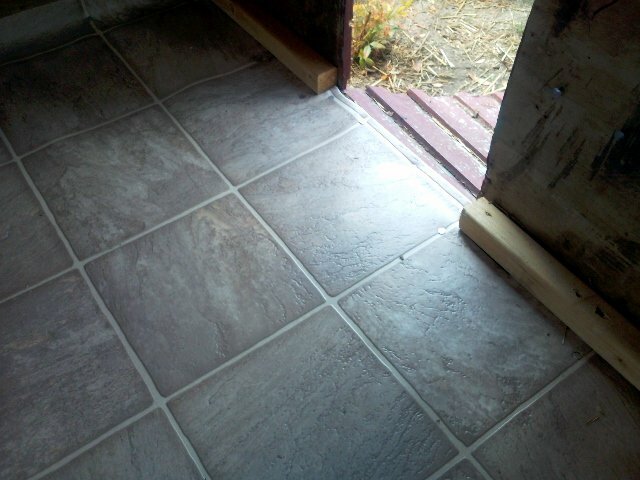 I chose to cover the plywood flooring in my coop with an inexpensive piece of roll-down linoleum. It makes for easy cleanup and the linoleum doesn’t provide places for mites to burrow into. Easy to cut and staple down, it is also easily replaceable when needed. 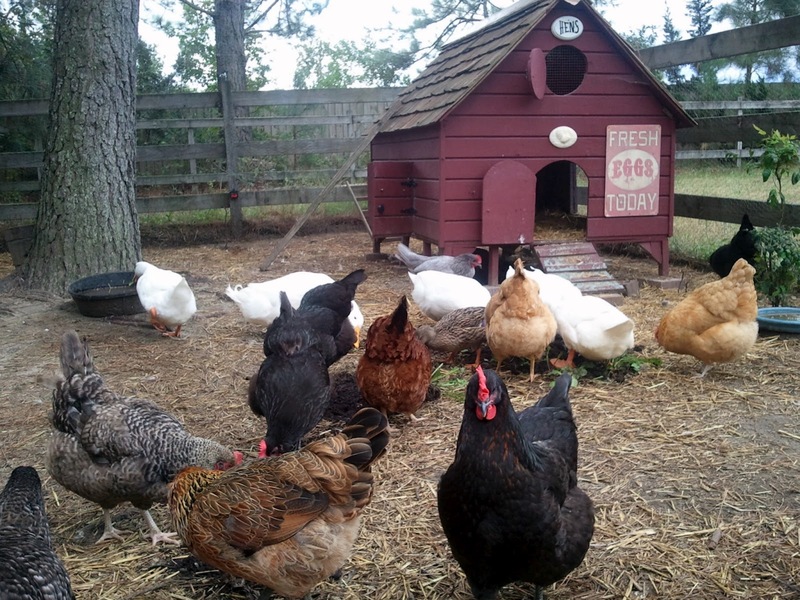 By taking these seven factors into consideration when planning your coop, whether you buy one or build one yourself, I think you will find yourself with a very functional coop that you are pleased with for years to come. We are building a coop – I was very interested in reading your article. Can I ask where you got the predator-proof eyehooks from please? Thanks! Living in town now and wanting to build a chicken yard in a small space. We are thinking an open sided roost with a roof may work. We’re thinking it through. Love your chicken house so may go for that now! We’ve raised chickens in the past and always find that cleaning the floor is a pain. Cement is what we were thinking but now your lino is a new idea.. good one. So much to think of. Thank you for your site. Thanks Debbie. 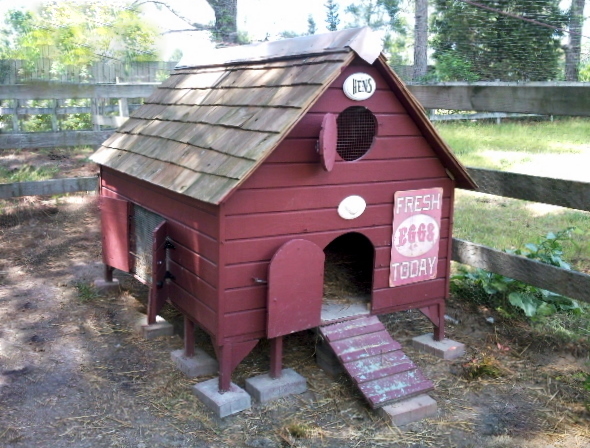 I love my coop…its just not big enough anymore. Great article Lisa. Your coop is still my favorite. Thanks Rebecca. I have enjoyed your blog for awhile now and am thrilled to be blogging ‘beside you’ ! All good ideas. One thing you can do if you have to or want to put your coop on the ground is put fencing on the bottom of it so that if a predator does try to dig in it can’t actually get anywhere. That is what i did on my chicken tractor. thanks for the awesome tips! I am in the process of remodeling my coop, and these tips will all come in handy. 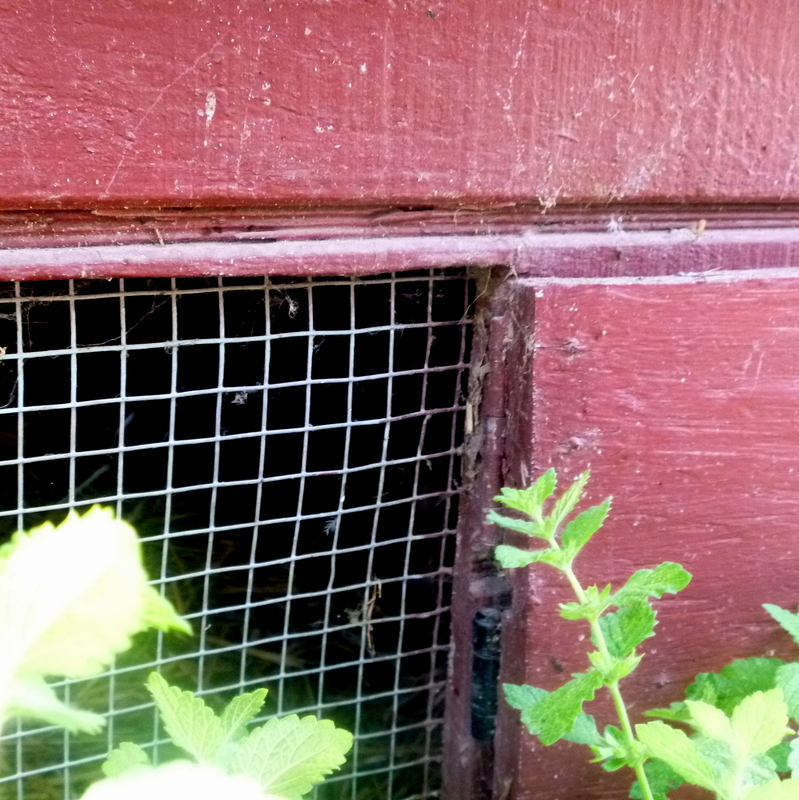 I especially like the venting ideas, as our broiler coop got too overheated.